HomeCaptcha entryMegaTypers Review – Is Megatypers scam or legit? MegaTypers Review – Is Megatypers scam or legit? Megatypers is considered one of the best captcha entry sites in the world helping thousands of workers to earn money from home. Rather than a job it will be like a game, you can test yourself by typing captchas in less than 15 seconds. If you’re going to work seriously, you can make up to $10 per day. Megatypers pay up to $1.50 on average for solving 1000 captchas. Usually, Megatypers provide captcha entry work to pay less money compared to regular online jobs, so it’s better to work for Megatypers instead of getting cheated by some fake companies with high payment promises. Megatypers have a good reputation for paying their customers in time. Read the Megatypers review and find the latest Megatypers invitation code to earn more money. You might like this – Online Form filling jobs without registration fees. It depends upon the amount of work you do. The formula applies here is the more you do the more you earn. They pay at a range of $0.45 to $1.50 for 1000 word images typed. They pay high rates during 14.00 – 17.00 server time. For instance, if you have a great typing speed of 40+WPM, you can solve above 800 images per hour. So there is a chance of earning $1 per hour during high paying hours. They also encourage their clients by awarding typers points for their hard work. If you type 500 correct words in a day they will award you 1 Typers point. 1 Typers point is equal to $0.001. You can withdraw after you accumulate 50 typers points. If you type accurately you will get 3x typer points. This is applicable to the top 200 workers per day who receives three times more typer points. Megatypers also conduct contest like typers draw and pay prizes to the top 5 contestants. Megatypers has got lottery available to award winners. You might also like – Offline data entry jobs. Go to the login page and type your email ID and password and click login or press enter. Once you have logged in click on start working on the menu tab available on the left side of the page to start your work. You will get images with words on the top of the working panel. You have to type the text in the text box within 15 seconds and click on submit answer or press enter in your keyboard. If you complete a captcha, the next image will load automatically. You must follow the same procedure to solve captchas. If you are tired or want to stop working click submit and pause to stop your current working session. You should be fast to type the text within 15 seconds. If you fail to submit within 15 seconds you will be kicked out. If you are kicked out for multiple times you will be permanently banned. In case if you get an image with partial text, then you have to type the image that is completely visible. If the image you get is completely unreadable then you have to click on Don’t know button. If you click on don’t know button too often you will be warned of getting banned permanently. So try to type as much as you can. Type as fast as you can to earn more typers credits. 1 Typers credit = $0.001. Recently the Megatypers have added the smart captchas that pay double the amount compared to the image captchas. Download the Megatypers Software to access. Also, enable the double image if you have got good typing speed to earn double Typers credit. Related article – Captchaclub review. Previously, the Megatypers has released the latest software to work directly from the desktop like Kolotibablo captcha entry app. The Megatypers app is available for free for Microsoft Windows 32 bit and 64 bit. Download the Megatypers app only on Megatypers. Do not download it from some other sites. The Megatypers app allows you to get the images faster. So, that you can solve the captchas faster compared to the web interface. Get access to the high paying smart captchas and the puzzle captchas only on the Megatypers app. Earn an extra 25% bonus by solving the special captchas on Megatypers. Try to use the Megatypers’s Typer solver instead of working on the web interface to enjoy major benefits. Megatypers pay various rates for every working hour. They pay rates are from $0.45 to $1.50 for every 1000 images solved by the worker. Megatypers pay high rates from 14:00 to 18:00 server time. So, try to choose your work time based on this server time. Usually, this server time will match US daylight. The green highlighter highlights the current server time and Pay rate. To get to this page click on stats on the side menu bar in Megatypers. Mega typers are very genuine to you. Your work progress is updated every second. They display the total entries with the correct and wrong statistics. So you don’t have to worry about your work history. To get to this page click on stats on the side menu bar. Invest your Megatypers payout – Bitcoin investment sites. 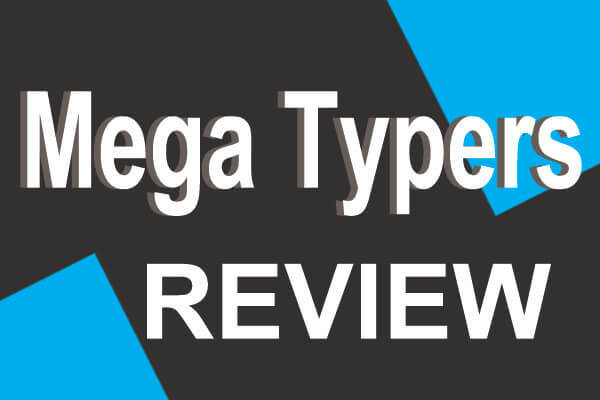 Mega typers provide regular alerts about the high rate, contests etc. So you can be easily updated as soon as you log in. Related article – Data entry jobs. You can choose your payment options any time by clicking on profile and payments on the menu. Mega typers pay you through Paypal, Webmoney, Western Union, Perfect Money, Litecoin(Learn what is Litecoin) and Bitcoin. Megatypers recommends Paypal. You must have a minimum $3 for pay out if you choose Paypal or perfect money. Payza is no longer an option to withdraw the earnings on Megatypers. In case of western union money transfer, you balance should be minimum $100 for pay out. Western union charges 14% to 20% for the payment. Payment will be made every Monday for Paypal and perfect money and Tuesday in case of western union. Work offline – How to find Offline Part time jobs. Megatypers is one of the best captcha entry sites in the world. It is a simple, reliable and useful site for captcha entry job seekers. Megatypers captcha pay rate is pretty decent compared to other sites. The Megatypers app helps us to directly work on the software instead of the web interface. Google Recaptcha on Megatypers pays 2x rewards compared to the regular image captchas. Enable double image to solve two captchas at the same time and earn double the income. 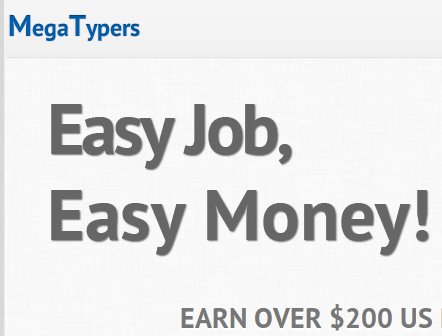 Mega typers provides one of the best online jobs for students, unemployed people and work from home housewives. 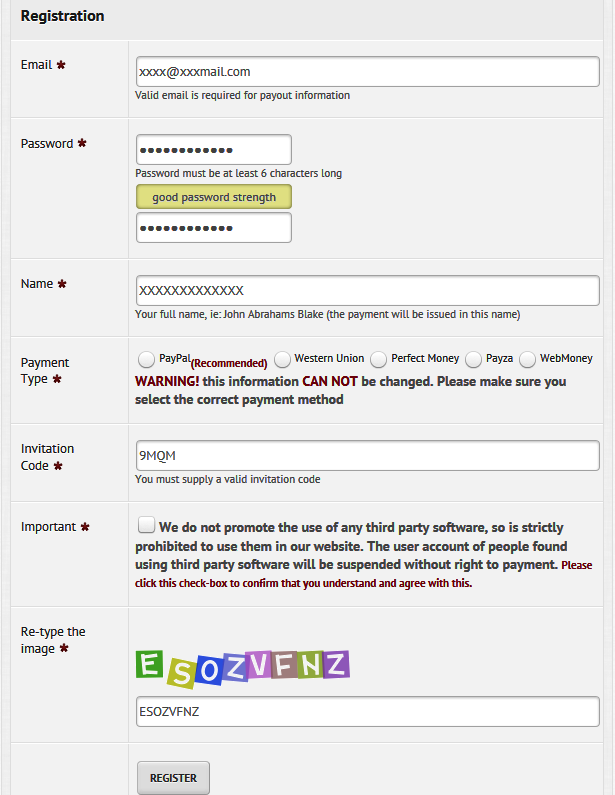 Megatypers is the only captcha entry site, that pays through PayPal. So, if you’re expecting to receive payments via PayPal, the Megatypers should be the better option. Megatypers needs to implement new technology to improve user experience. It’s not possible to work using the mobile phone. While you can check out some of the best mobile apps to earn money. Workers complain that the captchas load very slow. However, this might be a problem due to low demand. The pay rate fluctuation makes it hard to find the best time to work. Their affiliate program is not effective due to certain terms. Megatypers should work on improving their affiliate terms. Workers find that sometimes they are kicked out for no reason. Looking for the best captcha entry sites? Read this comparison to find the best– 2Captcha vs Megatypers vs Kolotibablo. Click here to register Megatypers. During Megatypers sign up process, in the email box fill a valid email. Type the password you want and confirm it. Select your payment options. Actually, the payment options can be changed later. Type the invitation code as 9MQM or one of the latest Megatypers invitation codes given below. Without valid invitation code, you cannot join mega typers. Agree their terms and conditions by clicking the check box. Type the letters in the image and click register. 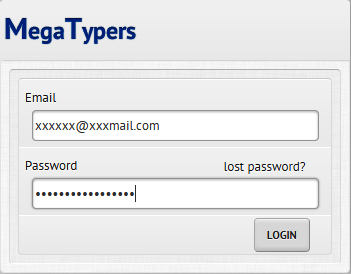 Now you are successfully registered to mega typers. You might also like this captcha entry site – 2Captcha review. What is Megatypers invitation code? The Megatypers invitation code is the part of Megatypers affiliate program. The Megatypers affiliate program is available for all the Megatypers workers to referral commission of 10%. Once you sign up, you are free to participate in the Megatypers affiliate program. It is a must for new users to mention the invitation code to sign up. The invitation code contains 4 letters like EKPV. Use any one of the invitation codes given in the box correctly to sign up on Megatypers. Is Megatypers scam or legit? The Megatypers is not fake and definitely a legitimate captcha entry work provider company. With a lot of pros, they still struggle with few cons. Their interface is too old and they need to consider improving the user interface of the website. They must also implement a feature to help people work on the mobile phone like the 2Captcha. For mobile users – Mobile captcha entry jobs. Megatypers vs 2Captcha vs Kolotibablo – Which is Best? 2Captcha Reviews – Is 2 Captcha Legit or a Scam? You cannot redo the incorrect captchas. Instead try not to make any mistakes in the future!